Milan, Turin and Cortina d’Ampezzo will launch a joint bid to host the 2026 Winter Olympic and Paralympic Games in Italy, it was announced today. The decision has been confirmed by the Italian National Olympic Committee (CONI). No one city will lead the project and its governance remains to be confirmed. Milan Mayor Giuseppe Sala has already said that his city is not interested in being involved in the governance of a joint bid, however. He reportedly informed CONI President Giovanni Malagò that they would still be willing to host Olympic events but criticized the supposed prevailing of “political reasons” over sporting and regional ones. Milan would still host sports including curling, ice hockey, short track speed skating and figure skating. Speed skating and other ice hockey games would take place in Turin, with slalom Alpine skiing in nearby Sestriere. Sliding sports would be held alongside all other Alpine skiing events in Cortina, with Nordic combined and ski jumping in nearby in Val di Fiemme. Turin hosted the 2006 Winter Olympic and Paralympic Games. Cortina staged the 1956 Winter Olympic Games. Livigno would host freestyle skiing, Valtellina would form the location for cross-country skiing and biathlon and snowboard competitions would be held in Bormio. There will be no new venues required, it is claimed, and CONI hope that the total cost will be €376.5 million (£334.88 million/£439.23 million). A venue for the Opening and Closing Ceremonies has not yet been confirmed, but Milan is viewed as the most likely location. Athletes’ Villages would be located in both Milan and Turin, with all athletes competing elsewhere housed in hotels. The main IOC hotel would be in Milan, but there would be a possibility for members to stay elsewhere. The venues for the Paralympic Games or any other plans for that event have yet to be confirmed. CONI also hope that they will be able to keep the 2019 IOC Session at which the 2026 host is due to be chosen in its current location of Milan. They claim that they have already paid for contracts for the Session and accompanying ceremony venues. A final decision on this issue will be made by the IOC, whose rules stipulate that an election cannot take place in one of the bidding nations. The IOC are due to vote on their official candidates for the 2026 race at their Session in Buenos Aires in October. 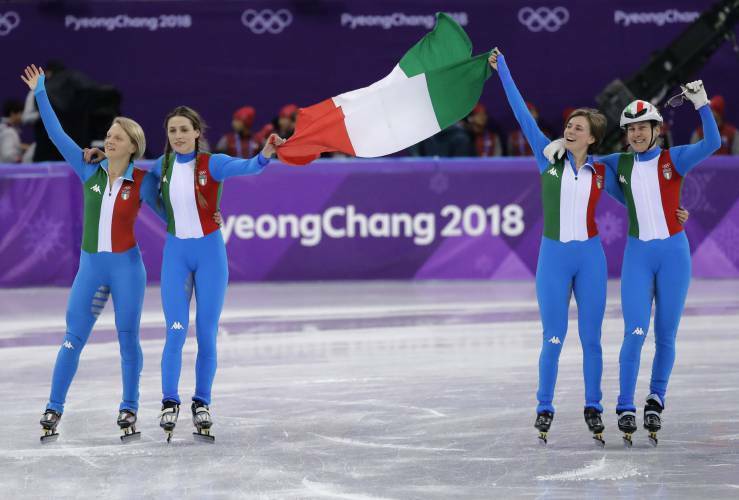 The Italian attempt is still considered volatile by many because of how Rome bids for the 2020 and 2024 Summer Olympic and Paralympic Games each collapsed following a sudden loss of political support.